Triphala is a combination of three ayurvedic fruits: Amalaki, Bibhitaki and Haritaki. Triphala is most commonly known for its use as a gentle bowel tonic, being helpful in digestion, and supporting regular bowel movements. The combination of the three fruits has a collective effect to help many other systems as well. In addition to the GI tract, Ayurveda uses triphala to support healthy respiratory, cardiovascular, urinary, reproductive, and nervous systems.Triphala has also been shown to be a powerful antioxidant, protecting cells from the damaging effects of free radicals. Triphala benefits any person who will take it on a regular basis because it is composed of a blend from the dried fruits of Amalaki, Bibhitaki and Haritaki with amazing healing properties. Herbalism or the treatment of illness with various herbs and natural concoctions – exists all over the world in many different forms. One of the most innovative of these disciplines stems from India, in a treatment method known as Ayurveda. Developed entirely in India, Ayurveda was the accepted healing practice during Vedic times. Ayurveda is a holistic healing approach, and it centers around treating the root cause of any illness, disease or any pain. It has been used to treat and cure numerous cases across the spectrum, from dropsy to fatigue and even cancer. 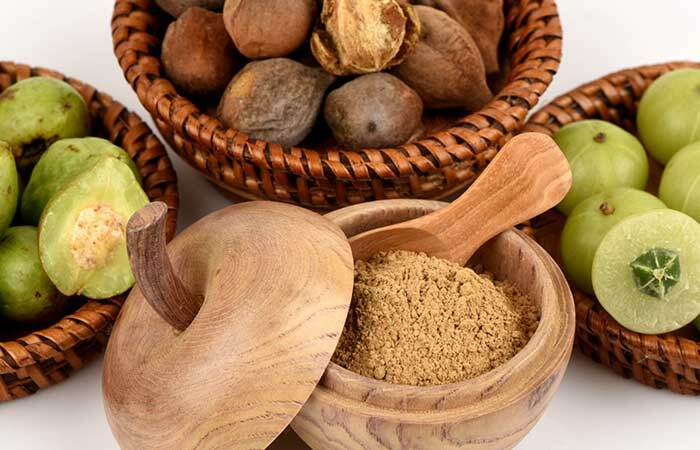 The health benefits of Triphala (Trifala) are endless and it is known to be an extremely powerful and natural antioxidant and body detoxifier with incredible body cleansing and rejuvenating properties.